A visit to the province of Como means, above all, having the desire to discover unusual things and to satisfy a curiosity that won�t settle for the usual clich�s. The territory of Como offers lots of things in a small space, mostly very different things but very close one to the other. Many itineraries can intersect, offering each time different chances according to the topics or simply to the mean of transport used. The city of Como and the surrounding lake area still conserve many traces of the life of Alessandro Volta, from the church where he was baptised (San Donnino, in the old town) to the exemplars of the first battery and other instruments housed in the Volta Temple, right on the lakefront, to the lighthouse in a wonderful panoramic position in Brunate. B) The Joys of Nature! Whether on foot, on a mountain bike or by car, the province of Como offers itineraries with varied and unusual panoramic settings: mountain roads or hillside routes, savage nature or refined gardens. The coastal area of the central lake region is particularly rich in fine ornamental gardens, while the upper lake offers an uncontaminated, mountain range with such a wealth of wild fauna that it may soon become a single great national park. Boat trips show the most romantic side of the lake and offer the best way to reach and visit the gardens of the historic villas along the shores: Villa Serbelloni and Villa Melzi in Bellagio, Villa Carlotta in Tremezzo, Villa Balbianello in Lenno. � Villa Serbelloni, which today belongs to the Rockefeller Foundation, is famous for its collection of tropical plants which thrive in the mild climate of the lake. � Villa Melzi was the first �English garden� on the lake. Here Stendahl would stroll and Franz Listz was inspired by the statue of Dante and Beatrice to write his sonata �Fantasia dopo la Lettura di Dante�. The statue is still there today near a moresco style gazebo. Its magnificent park is famous for the spring flowering of azaleas and rhododendrons, some of which reach exceptional dimensions: up to as much 22 metres tall! The gardens also boast grand specimens of ancient plants from all over the world. In the villa-museum you can admire famous statues by Canova , precious furniture, tapestries and paintings of the neoclassical art. The gardens are characterised by the climbing plants - which have been trained so as to dress the villa itself - by the trunks of the plane trees and by the surrounding walls. The villa, which was left to the FAI (Fondo per l�Ambiente Italiano) by Count Guido Monzino, also houses one of the most complete libraries dedicated to mountain and polar exploration and the museum of Monzino�s personal collections, including the sledge on which he arrived at the North Pole in 1971. 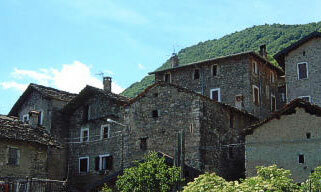 The province of Como was one of the first industrialised areas in Italy. The history of the area in the production of silk and furniture is marked by three interesting museums in Como and Cant�. The entire process by which silk is produced can be seen at the Museo Didattico della Seta in Como, the only museum in Europe that shows the whole cycle from farming the silkworms to final dyeing and printing. Another textile museum, the Museo Tessile della Fondazione Ratti, has records of over 4,000 samples of precious silks, velvets, brocades and damasks collected through the centuries from all over the world. The idea of transferring all this into a virtual museum represents the most modern way of displaying cloths that have grown delicate with age and which can be damaged just by exposure to the light. One can also visit the most famous silk manufacturers in the area and order personalised silk scarves and ties. The kingdom of furniture is the area around Cant�. This is marked by the School of Art, which was founded in 1882, and the International Furniture Selection Competitions which, between 1955 and 1975, created opportunities for artisans and designers to come together. The juries included, among others, Alvar Aalto, Arne Jacobsen, George Nelson, Gi� Ponti, Ignazio Gardella, Marco Zanuso and Vico Magistretti. Today the Galleria del Design e dell�Arredamento (Design and Furnishing) exhibits an interesting collection of design projects and prototypes, as well as the historic collection of the Premio Compasso d�Oro (Golden Compass Prize). The variety of the territory offers conference participants and their partners and enormously wide choice of sporting pastimes. 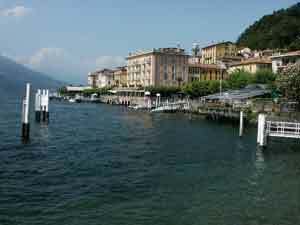 6 golf courses, including Italy�s oldest, the famous Menaggio and Cadenabbia, which enjoys an amazing view of the lake. The are many places where visitors can hire mountain bikes, go trekking on horseback, join groups of mountain climbers, or go skiing. There is even a sanctuary dedicated to cycling. It stands at Passo Rancio (755m) and is known as the Santuario della Madonna del Ghisallo, patron of cyclists. Here there is a permanent exhibition of trophies and bicycles, including vintage models from the days of Binda, Gardengo, Coppi and Bartali as well as more modern models. It is a stopping point not to be missed, but also an opportunity to enjoy a panoramic route from Erba to Bellagio. Lovers of water sports can choose from windsurfing, trips in motorboats, water-skiing, and canoeing. And those who prefer be ing up among the clouds can go hangliding, parachuting, flying, or gliding. There is even a school giving lessons in flying seaplanes (the only one in Italy).